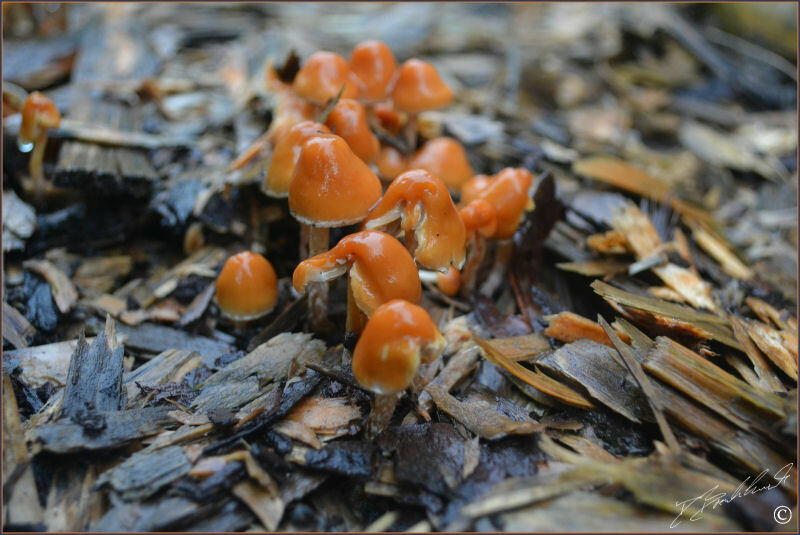 This abundant fungi was found in my garden one Spring following the removal of a dead tree and reappeared for a couple more years - now done its work and is no longer seen. 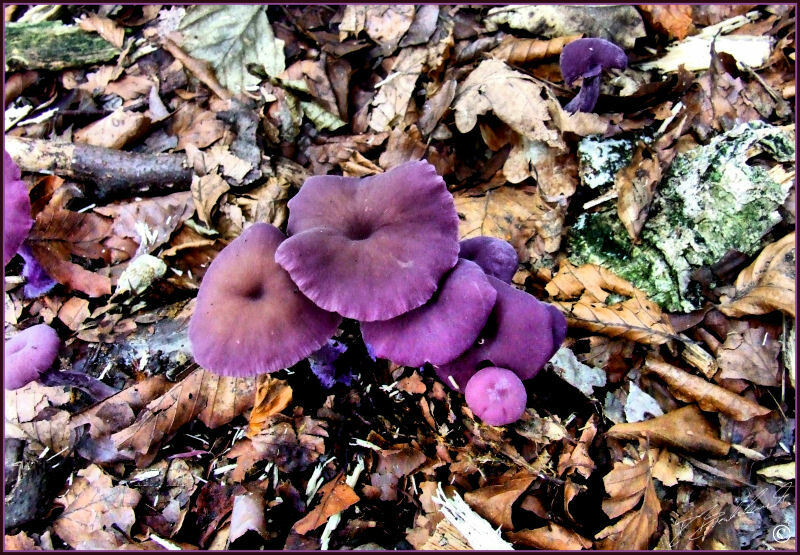 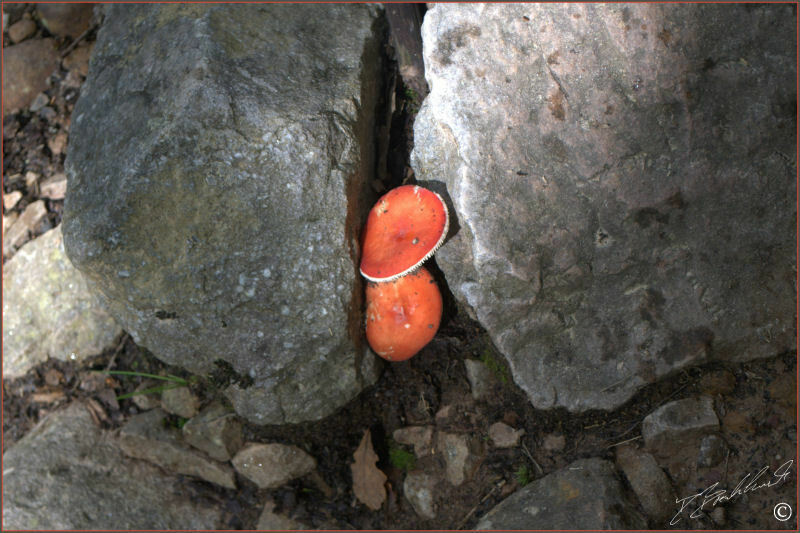 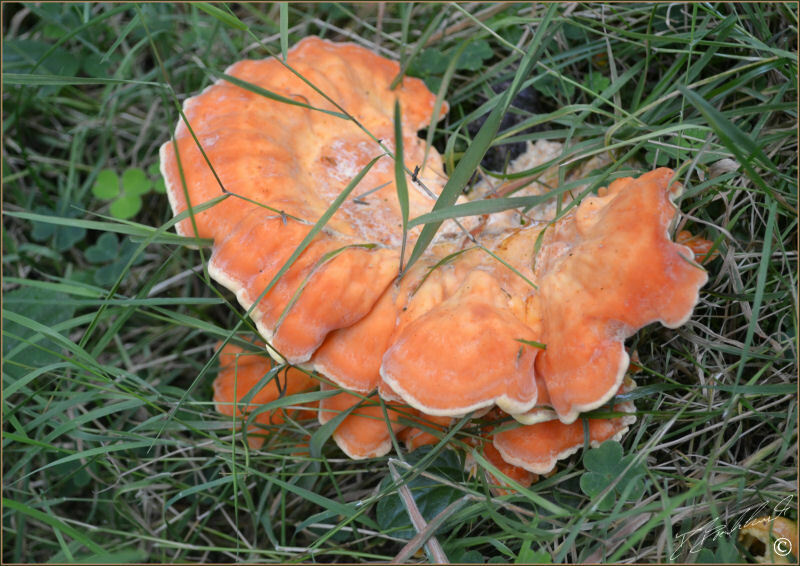 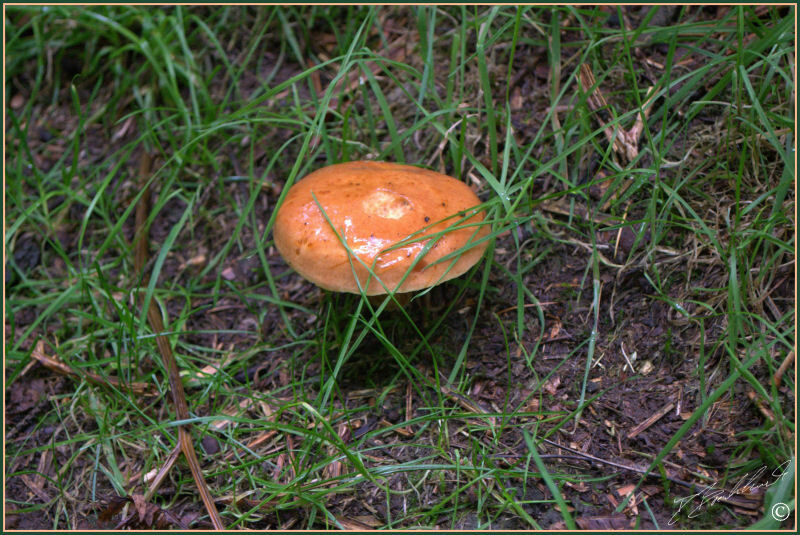 This mushroom appears annually in Autumn popping through my natural garden path following heavy rain and damp conditions. 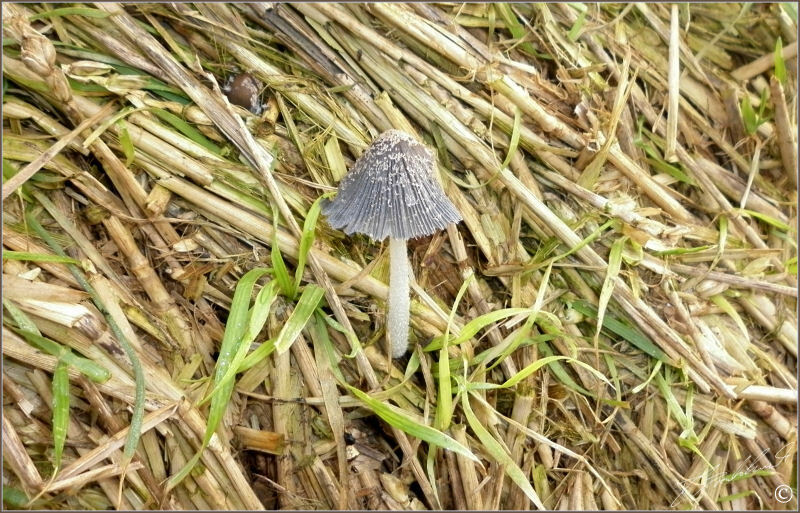 A common mushroom found in and around woodland areas in the Autumn - the above photos were all taken at different locations in North Yorkshire - a favourite for childrens books and fairy tales. 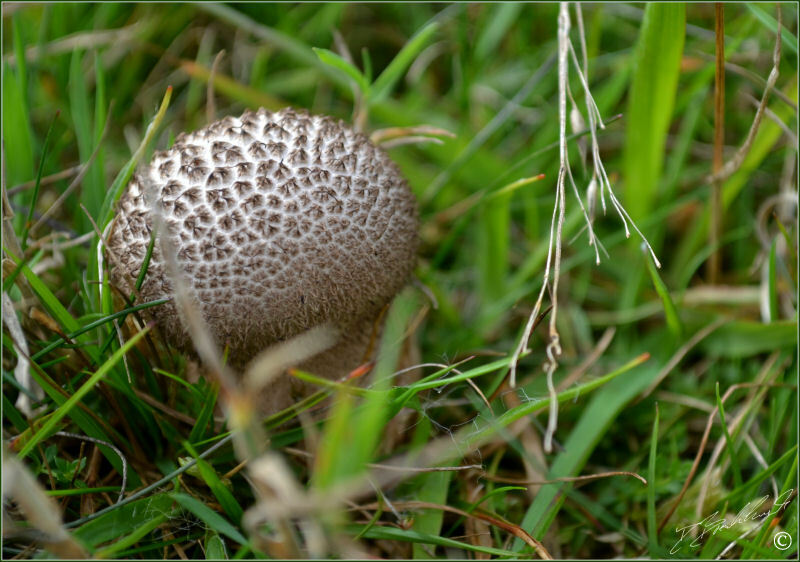 This species of fungi was found one Autumn in the woods whilst enjoying the sculptures at the Yorkshire Sculpture Park at Bretton Hall. 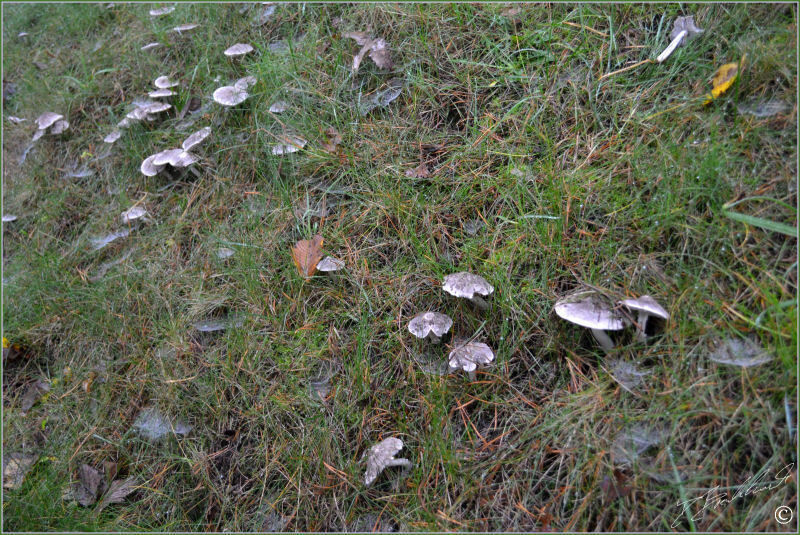 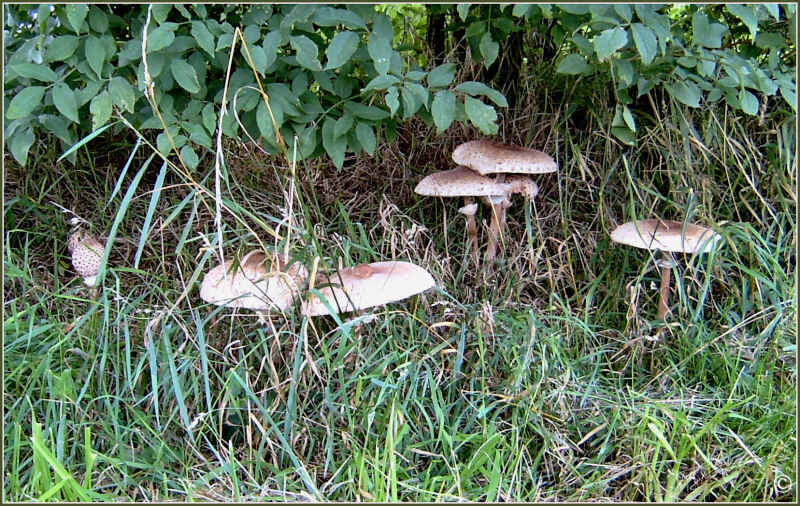 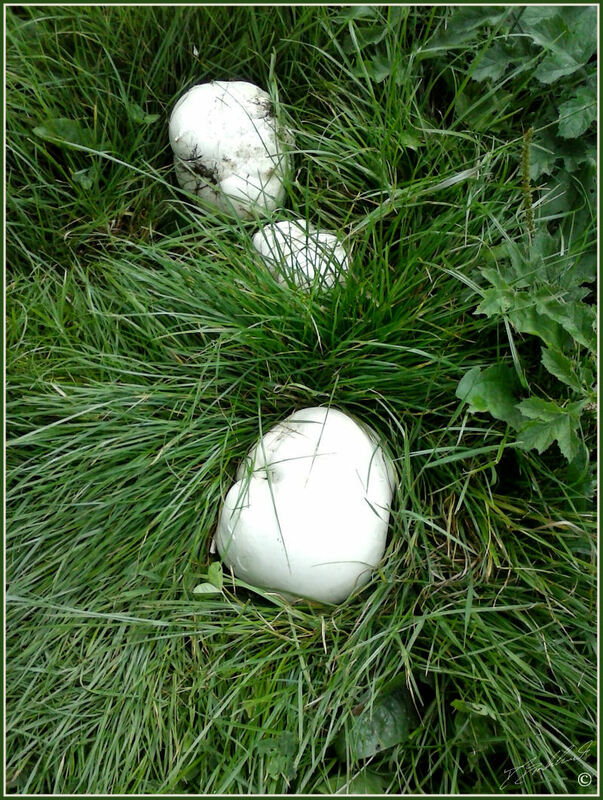 This is a common fungi seen in fields and roadsides - this photo was taken at the side of the road in Harrogate, North Yorkshire. 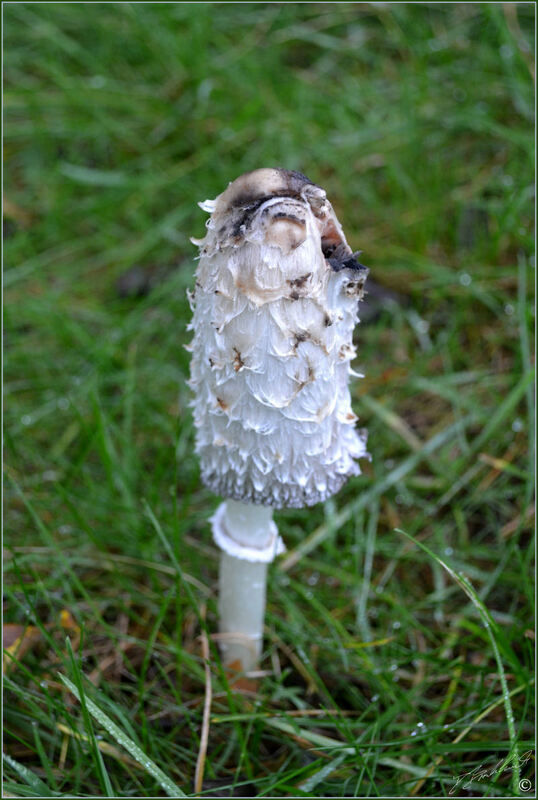 Apparently not a common Mushroom for the North of England and one I don't often come across - photo taken near Kilburn in the North Yorkshire Moors. 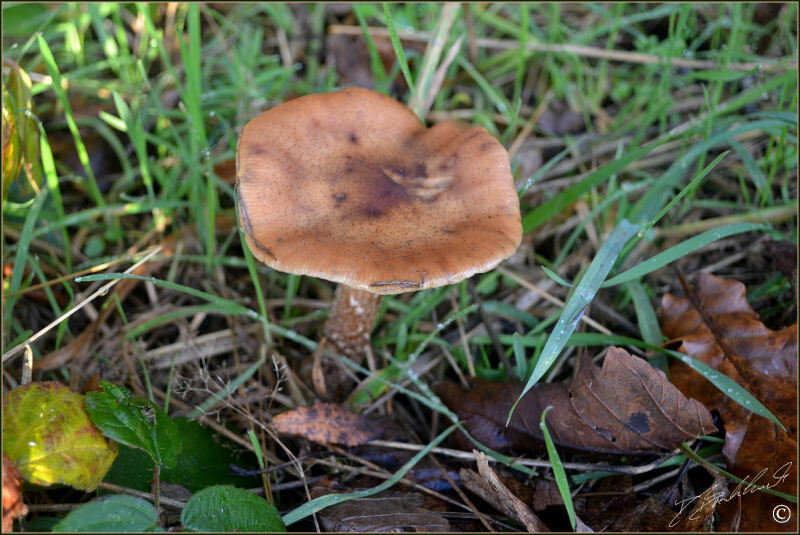 I came across this species whilst walking the hills of Shoropshire - scattered along the side of the path on the edge of a moor and next to a conifer wood. 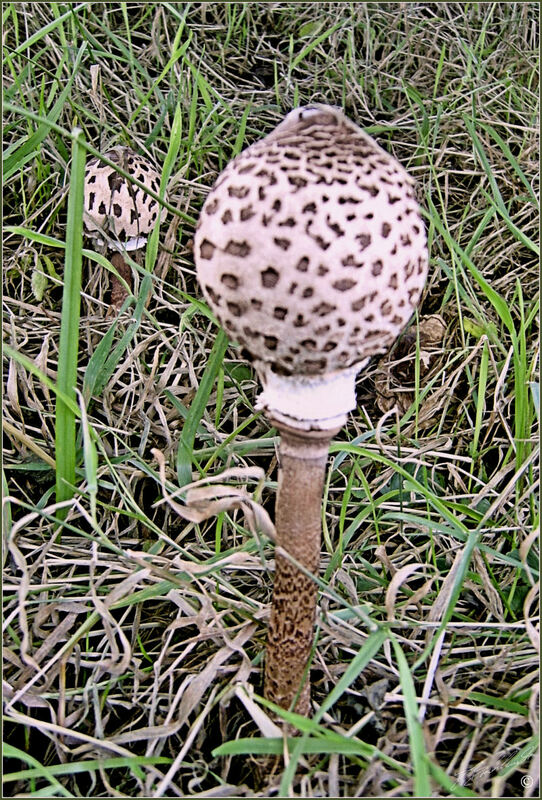 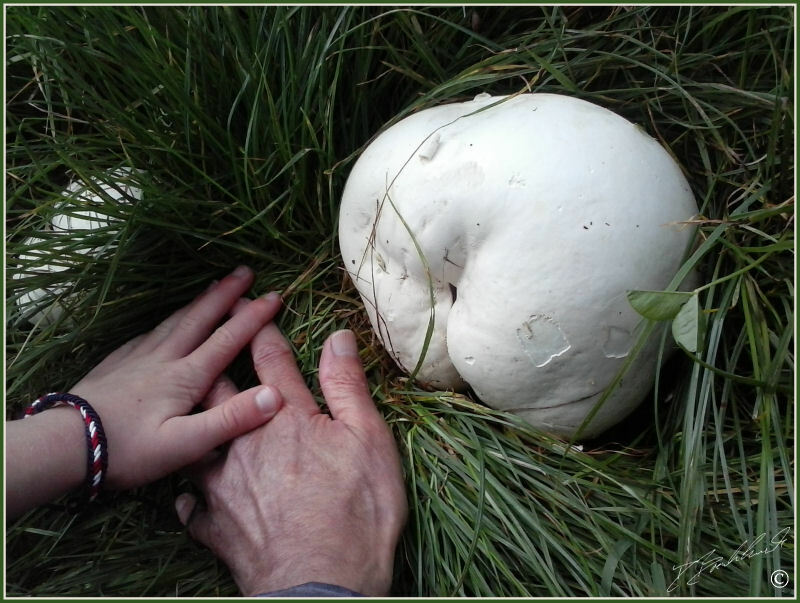 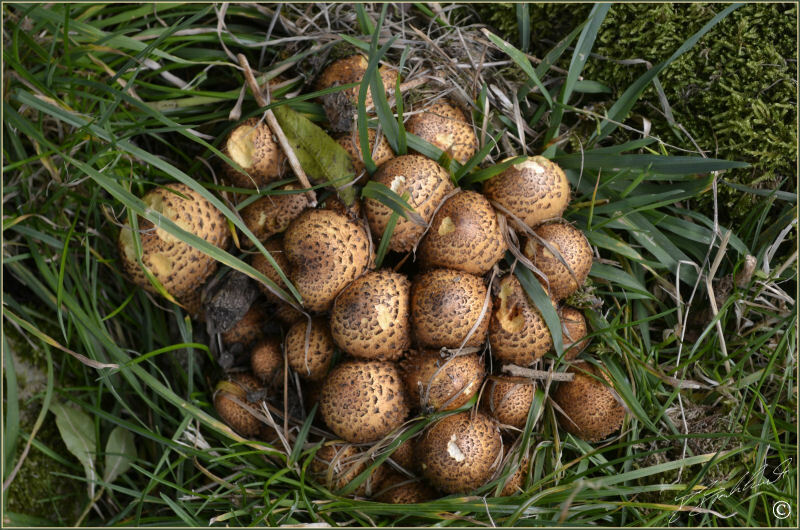 These Giant Puffballs were found on the edge of a cornfield in August (sorry - location not shared) - the one in the bottom photo was eaten on the same day as the photo was taken. 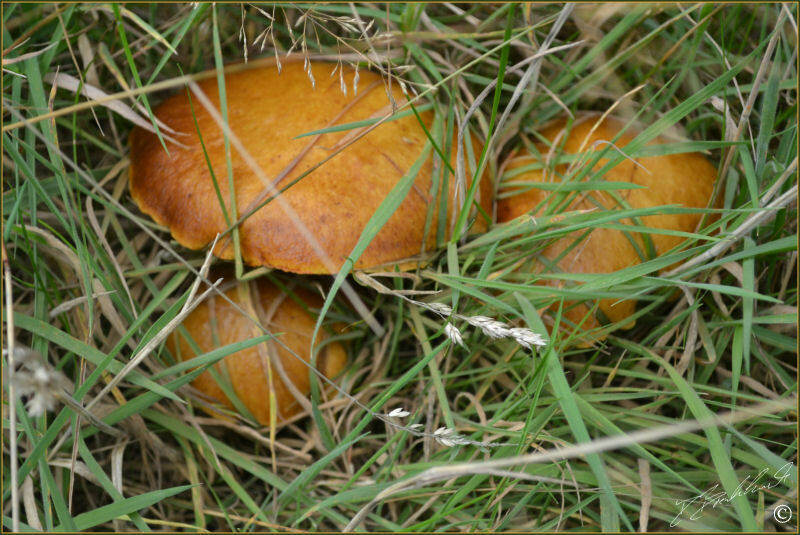 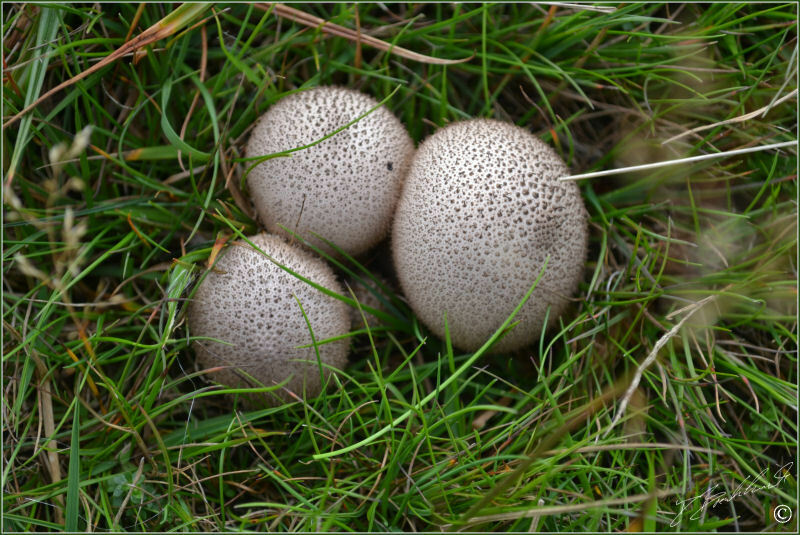 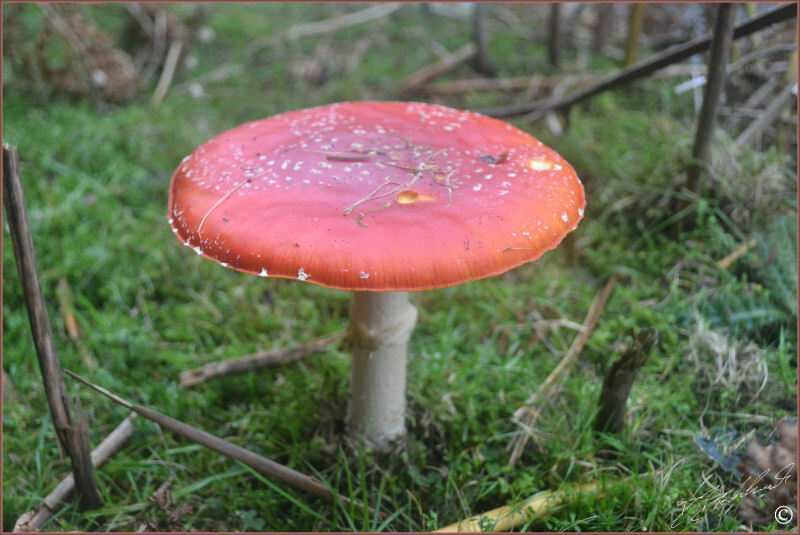 A common mushroom found late Summer and early Autumn - often located on moorland and fields throughout the UK - the above photos taken on the North Yorkshire Moors. 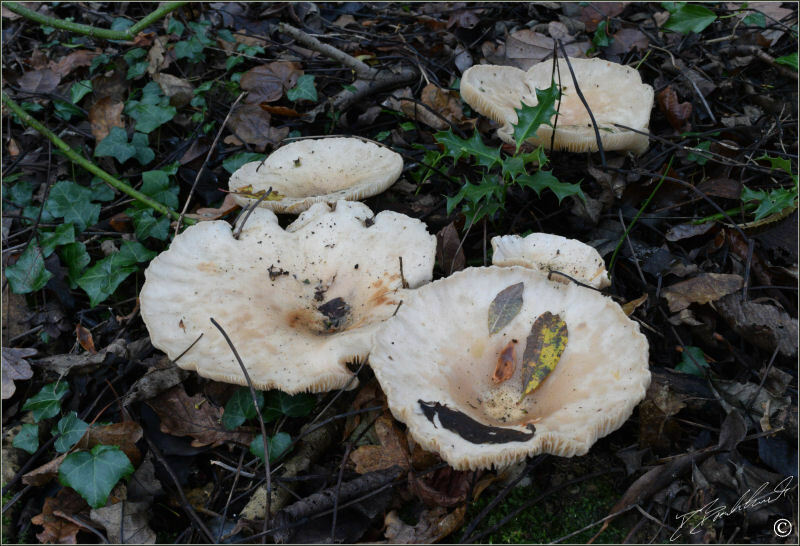 A very common woodland fungi found amongst fallen leaves in the Autumn - all these photo were taken in wood next to the river Nidd near Knaresborough, North Yorkshire. 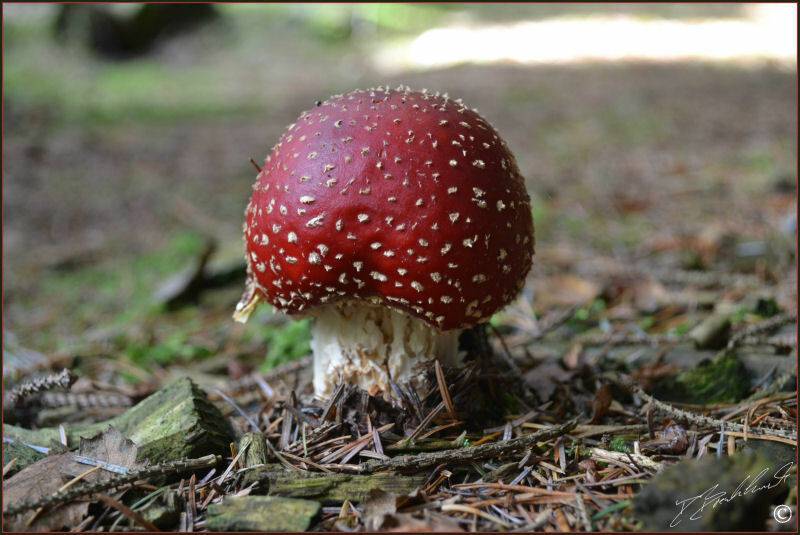 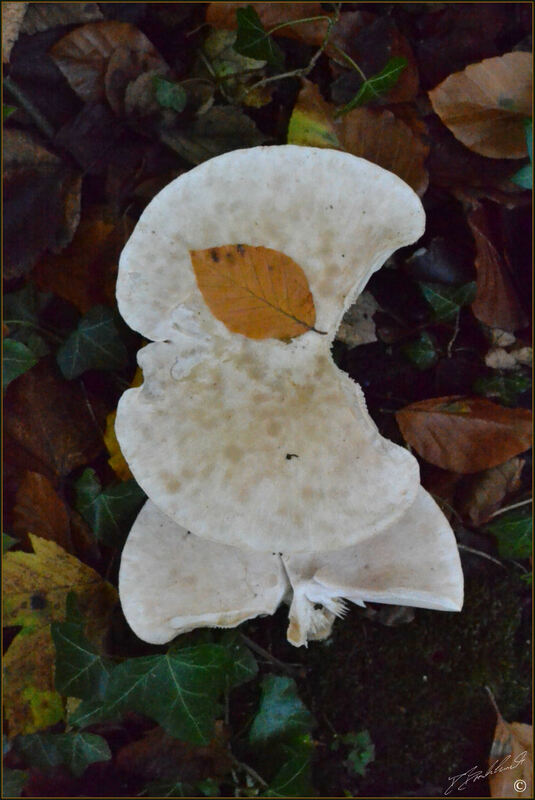 This mushroom was scattered about on the edge of a wood in Autumn - photo taken in woods near Knaresborough, North Yorkshire. 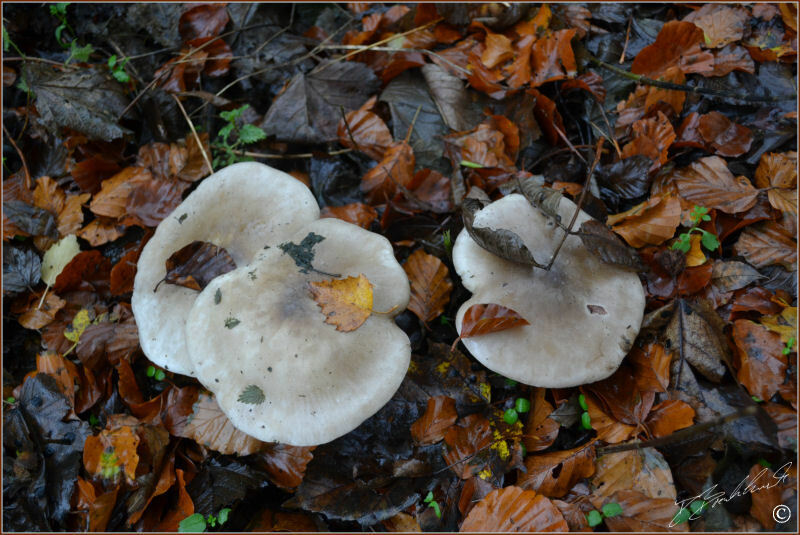 Another species found in the wood next to the river Nidd in Autumn - seen regularly year after year in various locations. 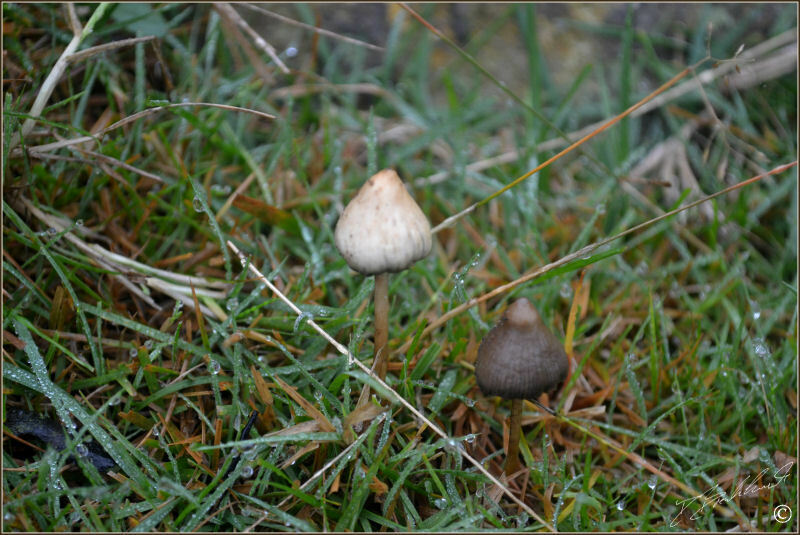 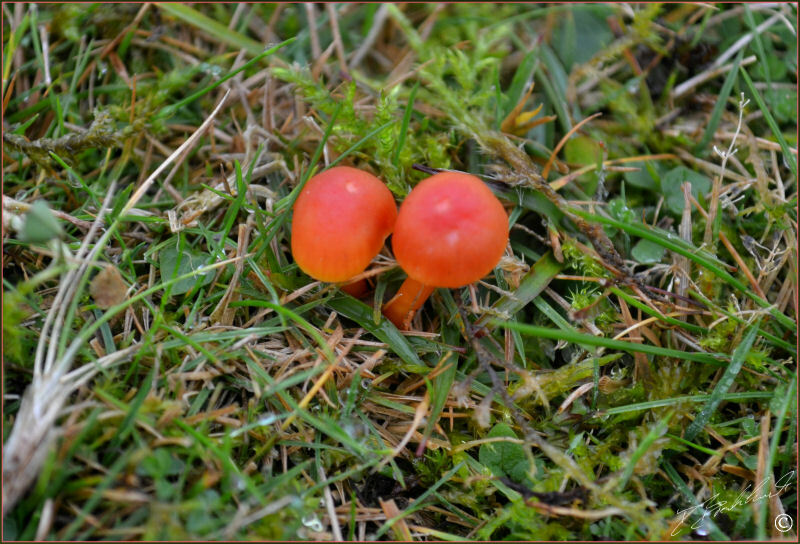 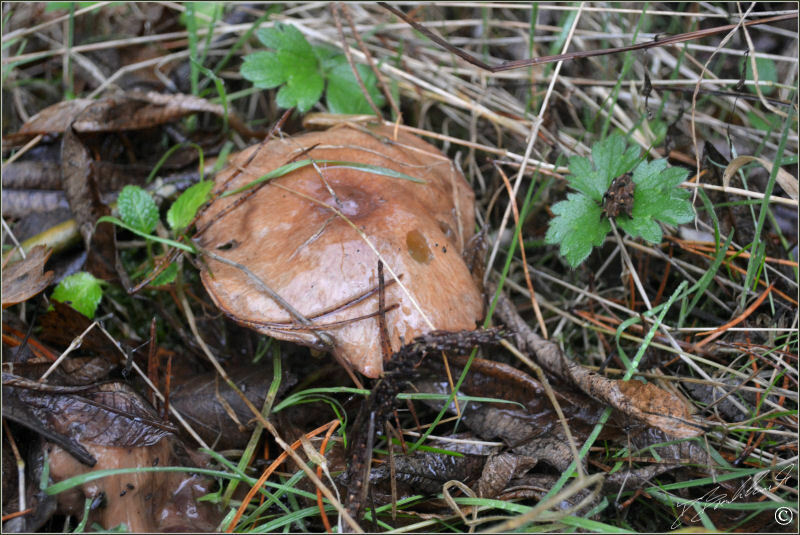 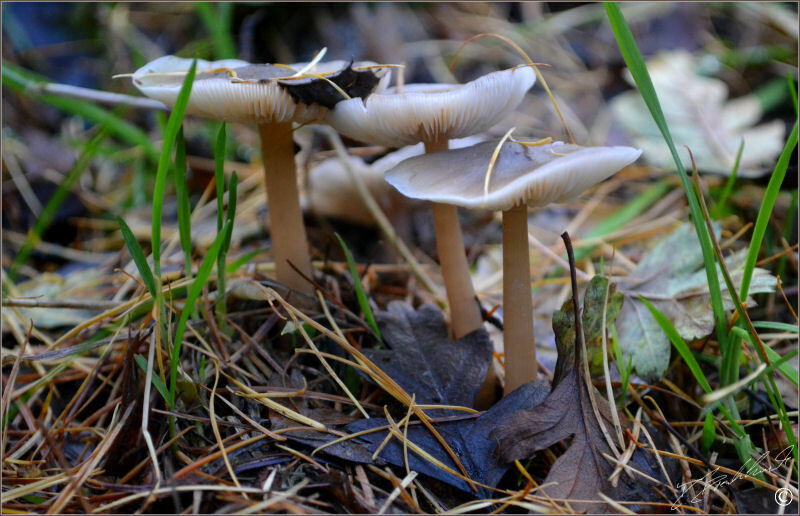 A small but distinctive mushroom growing on damp mossy ground - photo taken early Autumn on the North Yorkshire Moors. 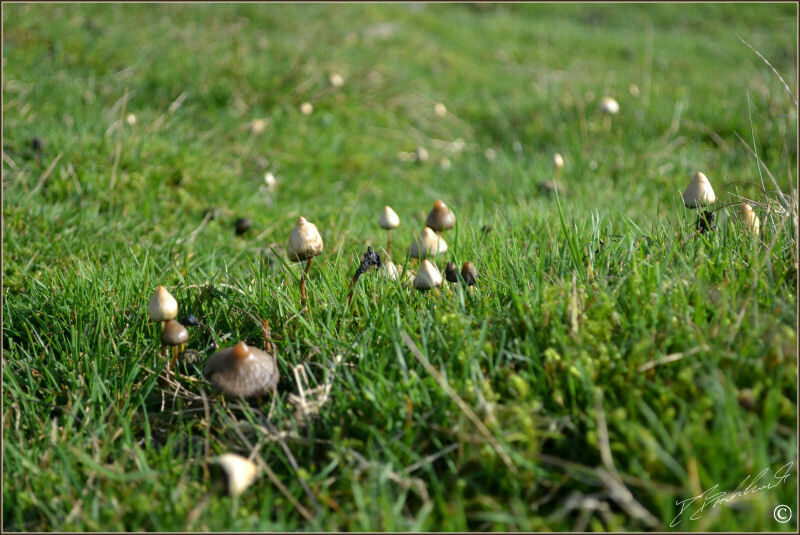 Found high on the hills in the Lake District in July - this species is quite happily growing from sheep dung. 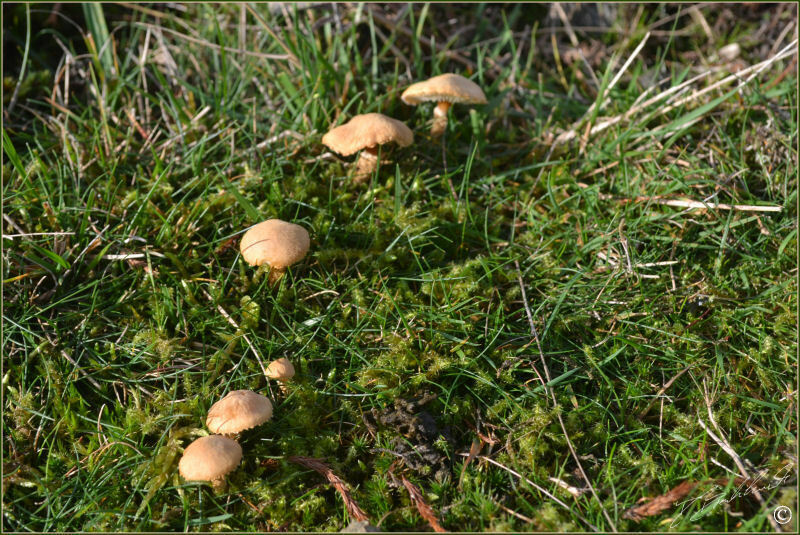 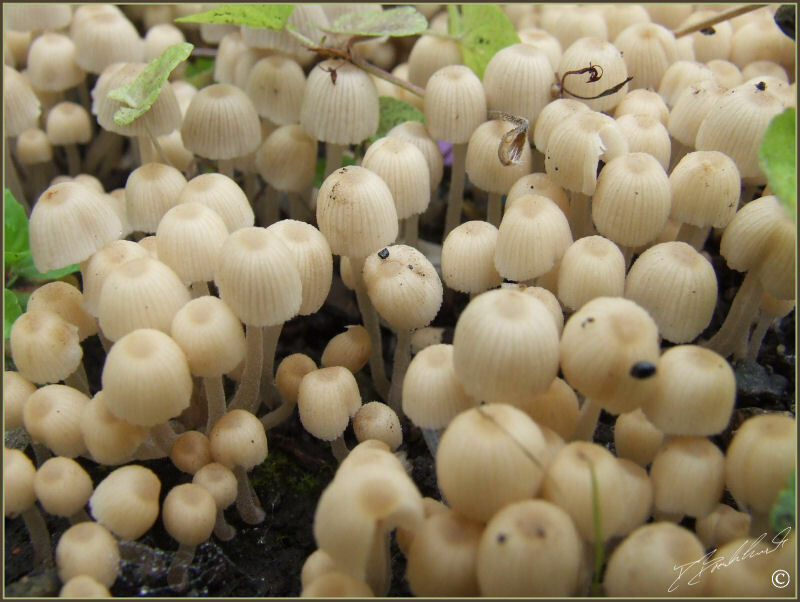 A few small clusters of this mushroom were growing on the edge of a path next to woodland in mid Autumn - photo taken at Swinsty reservoir, Harrogate, North Yorkshire. 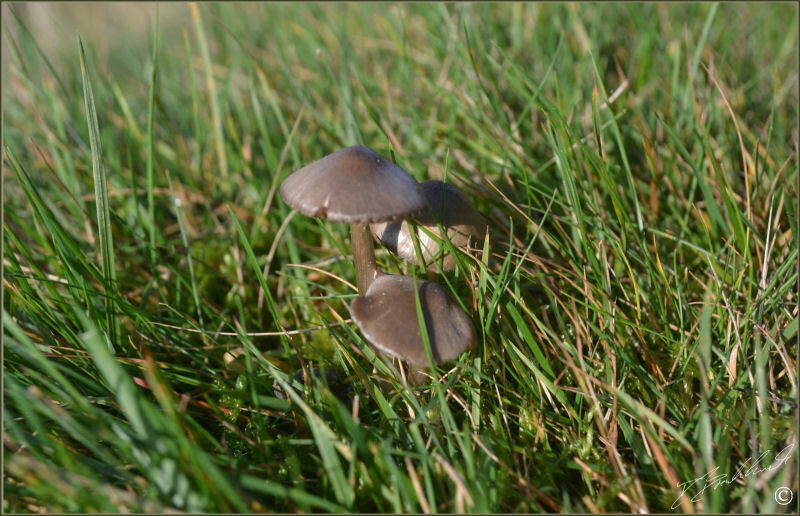 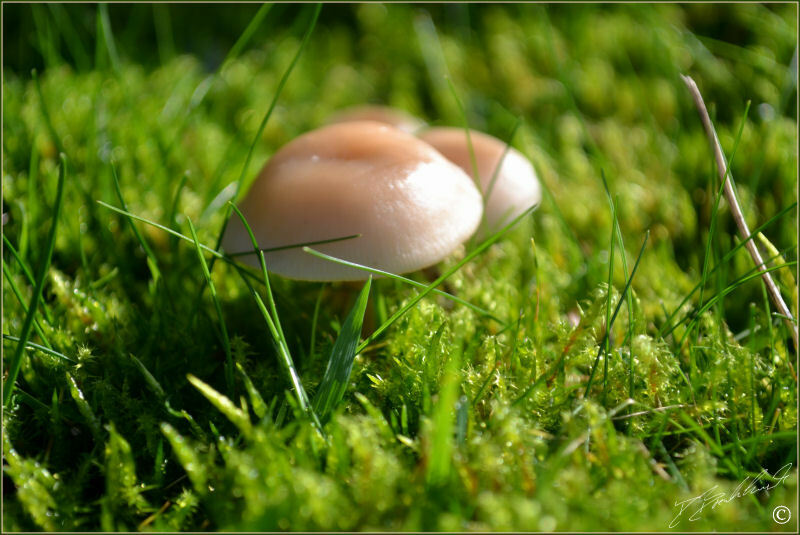 A small common Mushroom seen regularly in fields and grassy verges - this photo taken near Brimham Rocks in North Yorkshire. 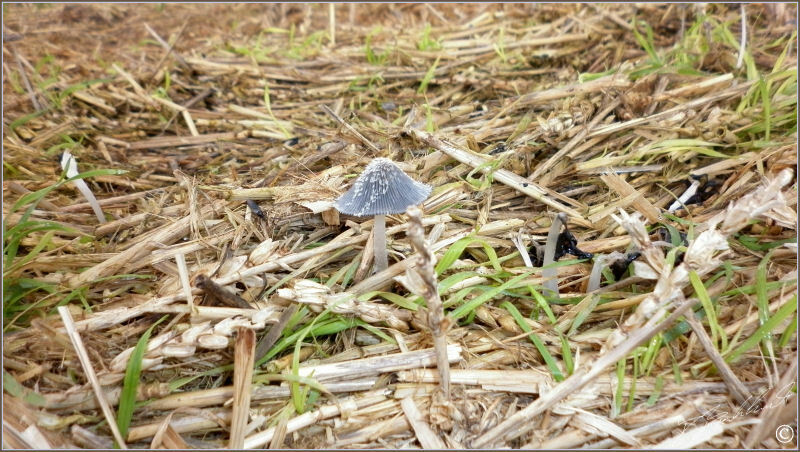 This little mushroom was found scattered around a pile of hay bales that had recently become saturated at the edge of a flooded field - photo taken mid Autumn at Boroughbridge, North Yorkshire. 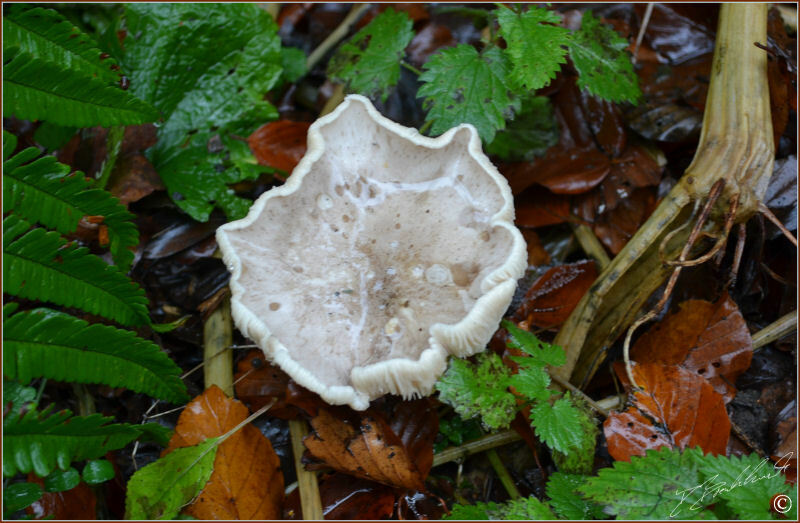 A woodland Mushroom with spongey gills - found mid Autumn in a small wood near Knaresborough, North Yorkshire. 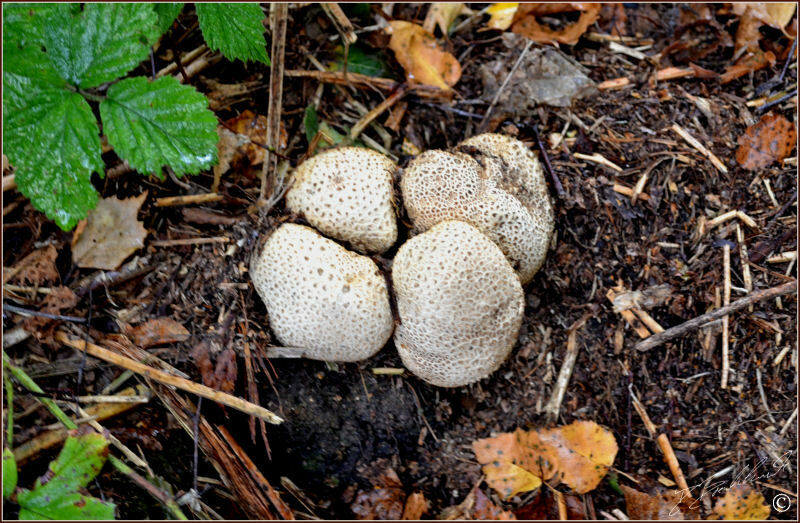 This small but eye catching cluster was spotted growing near a tree - may-be an Earthball species but as yet unidentified - Photo taken in woods near the Druids Temple, Masham, North Yorkshire. 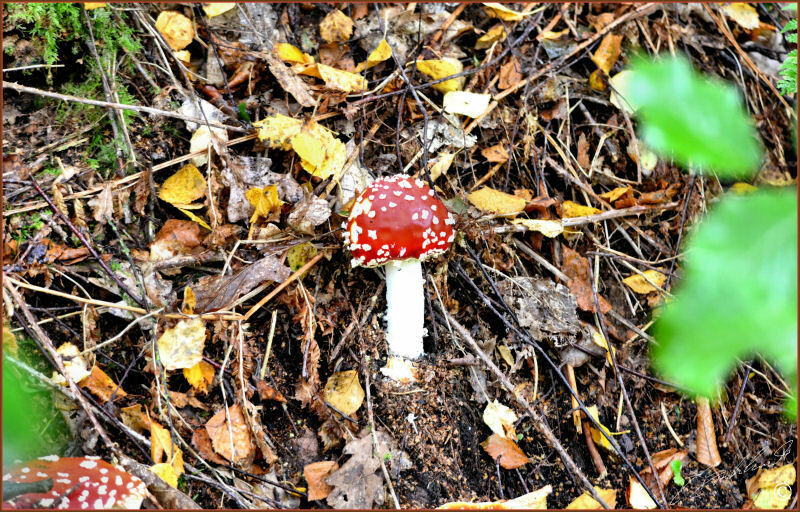 A singular mushroom spotted at the side of the path next to woods in November - photo taken near Fewston reservoir, Harrogate, North Yorkshire. 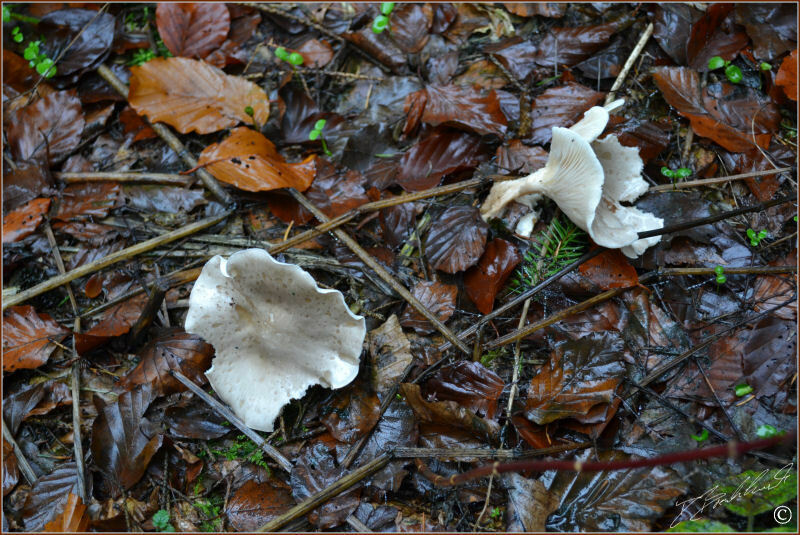 Another singular mushroom found next to a woodland path in November - photo taken near Fewston reservoir, Harrogate, North Yorkshire. 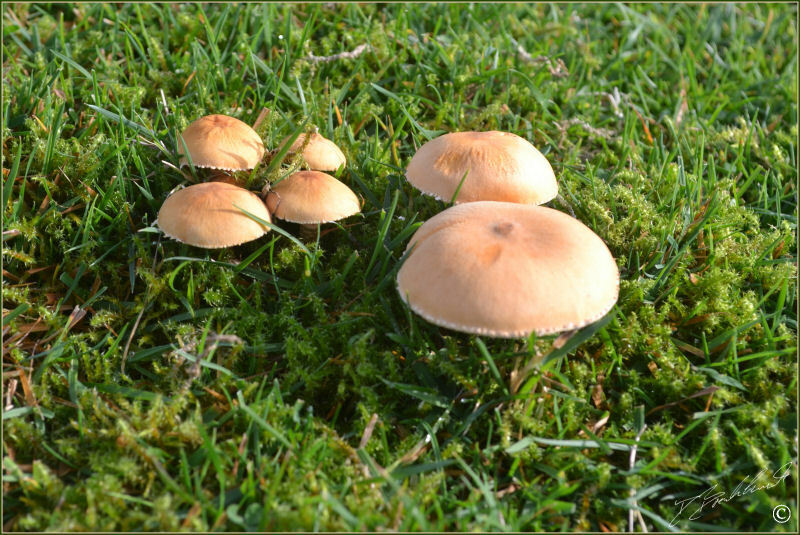 A small group of mushrooms at the bottom of a hedge one November - Photo taken near the Druids Temple, Masham, North Yorkshire. 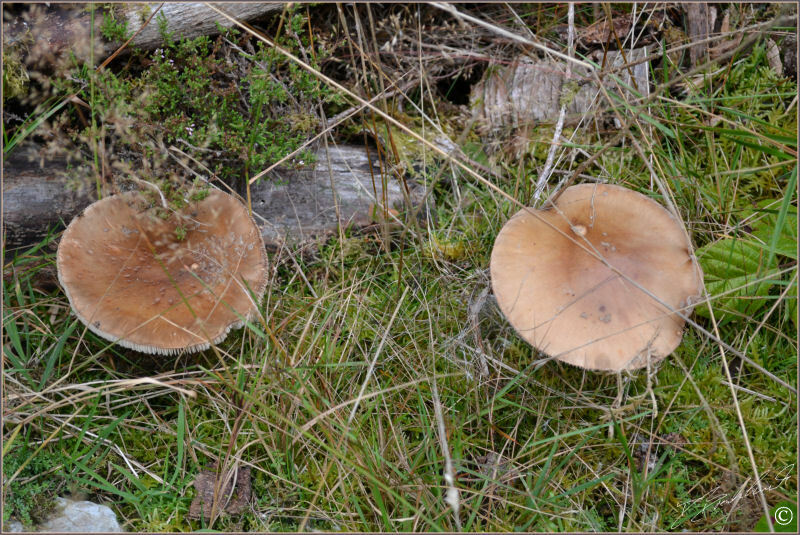 This pair of fairly large mushrooms were found with a wood in September - photo taken in woods at Blubberhouse Moor, North Yorkshire. 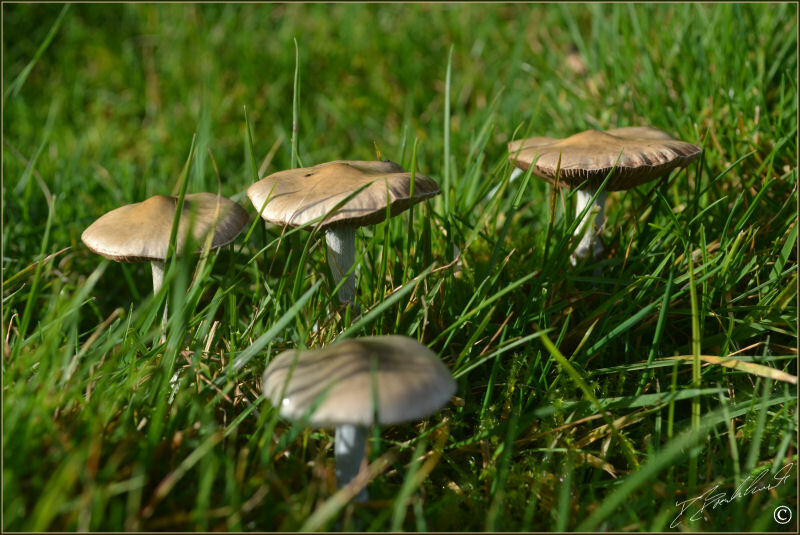 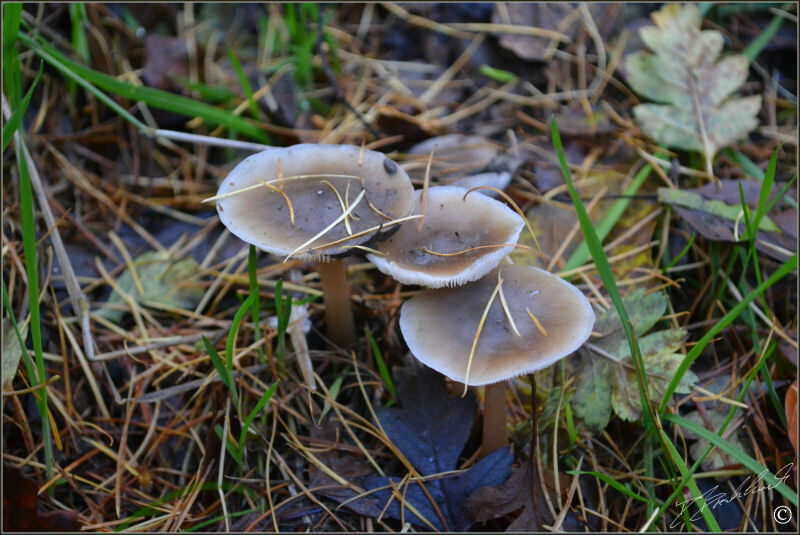 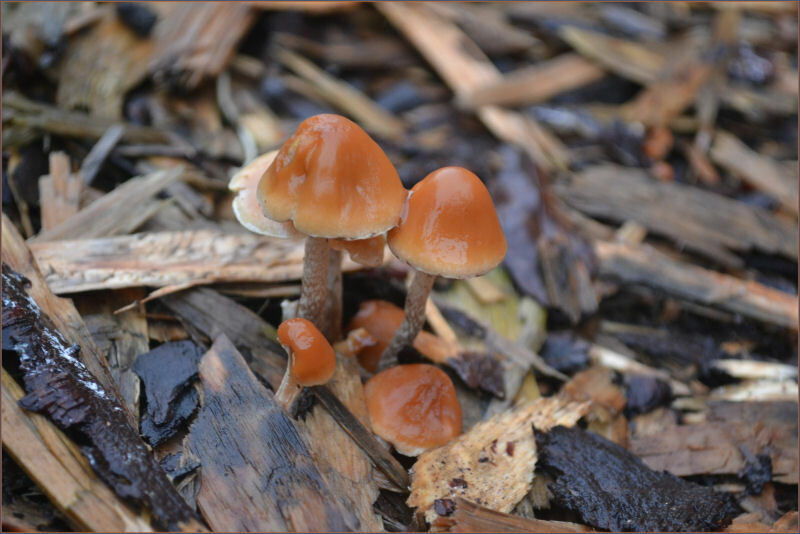 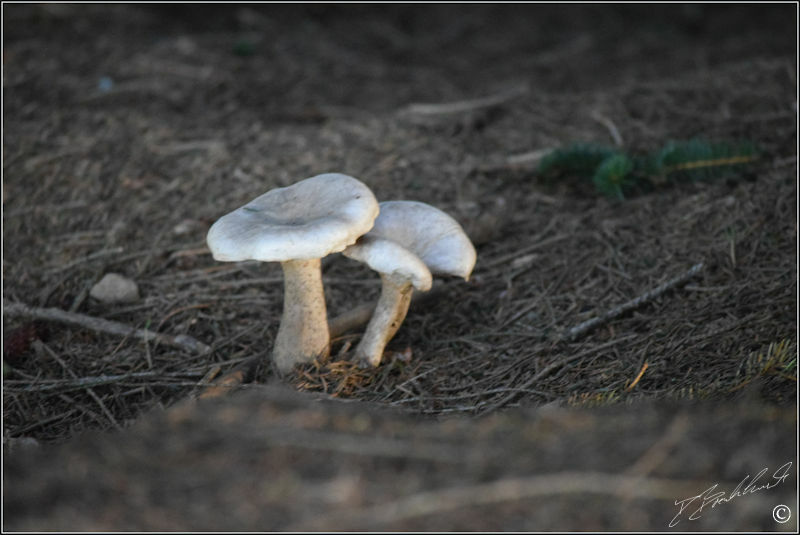 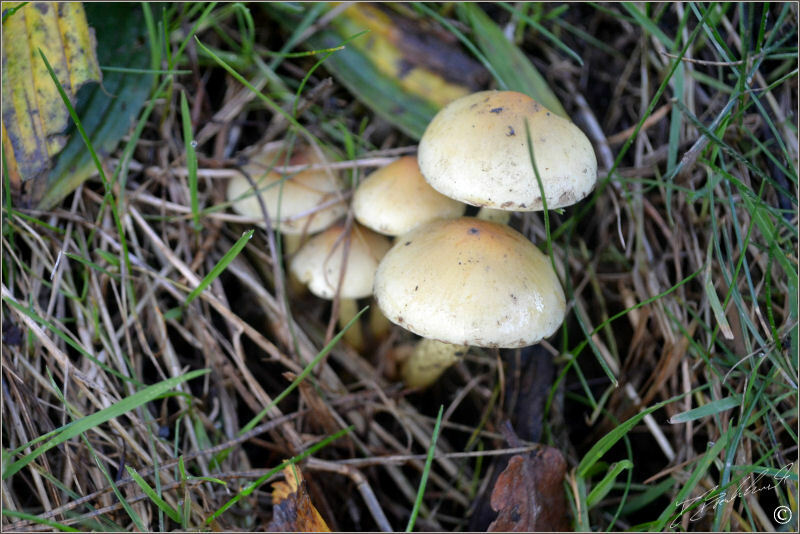 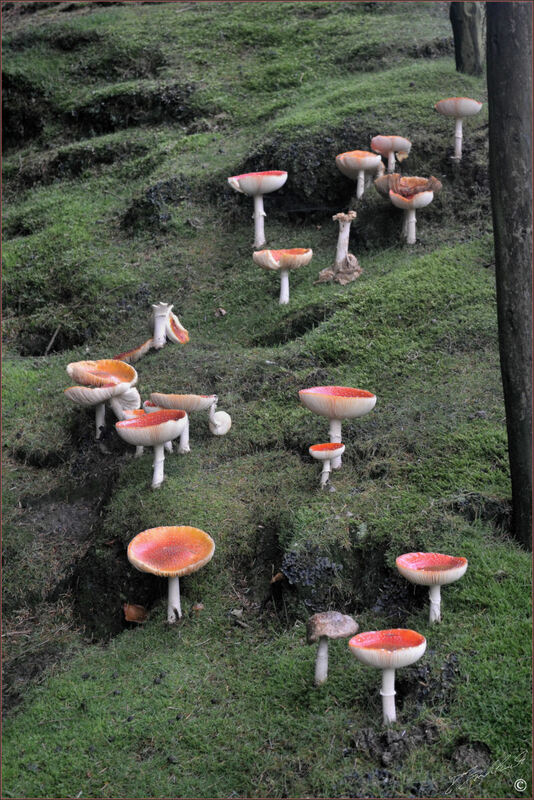 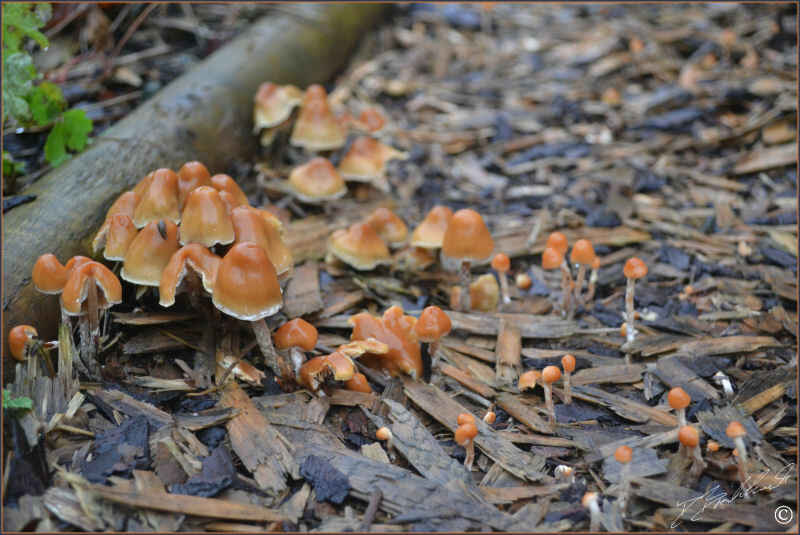 These and many other of the same species of mushroom were scattered along a path verge in September - photo taken at the Harewood House estate, North Yorkshire. 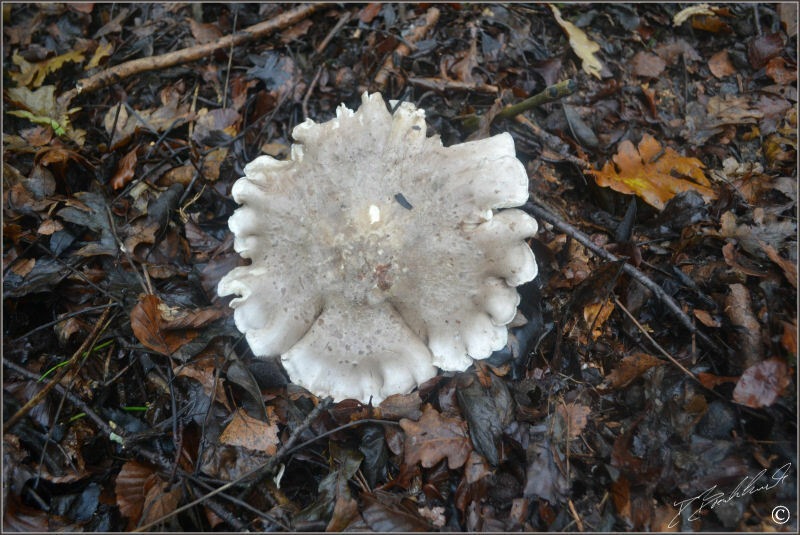 This large mushroom was found one damp December at the edge of a wood - photo taken in woods near Starbeck, Harrogate, North Yorkshire. 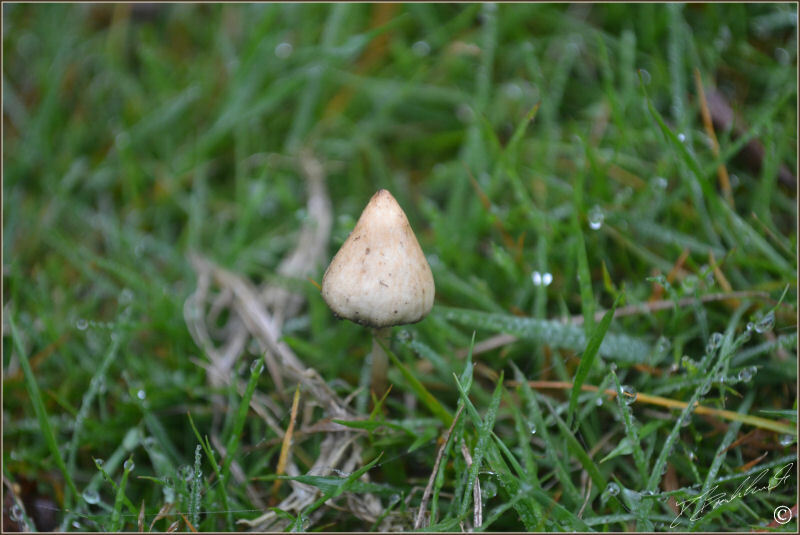 A singular mushroom found in November in damp woodland - photo taken near Swinsty reservoir, Harrogate, North Yorkshire. 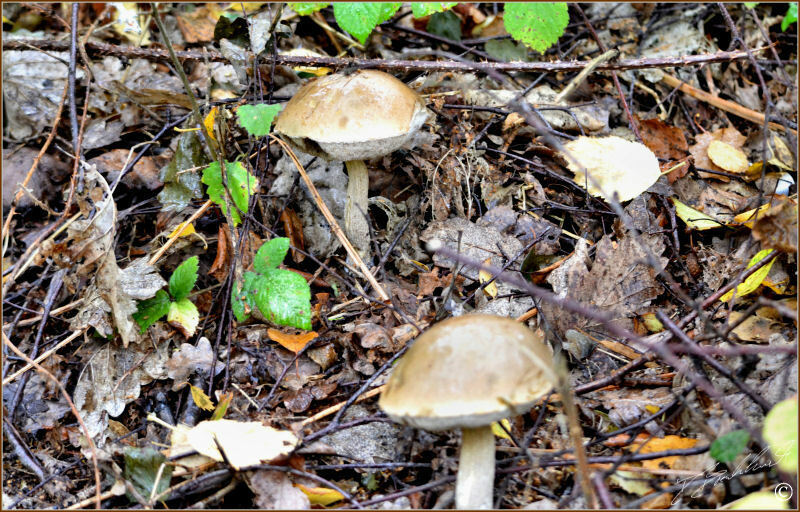 This largw double Fungi was found next to a woodland path in October - photo taken in woods near Osmotherly, North Yorkshire. 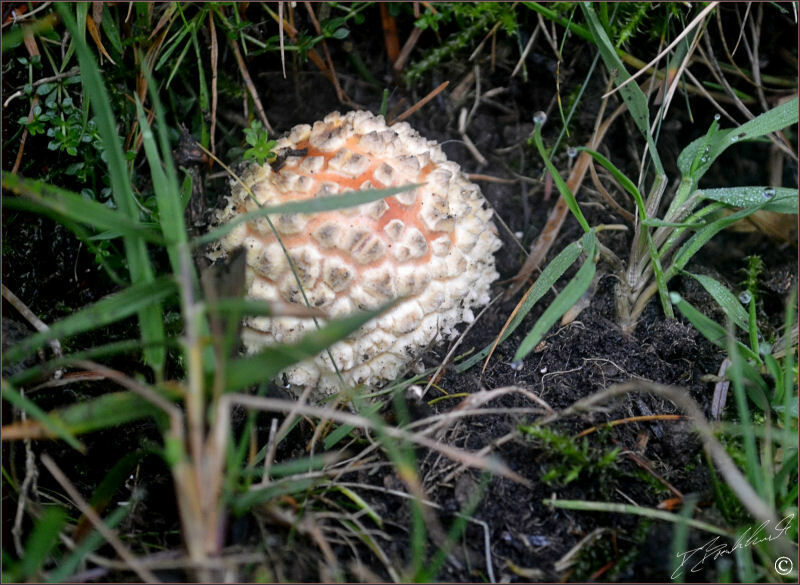 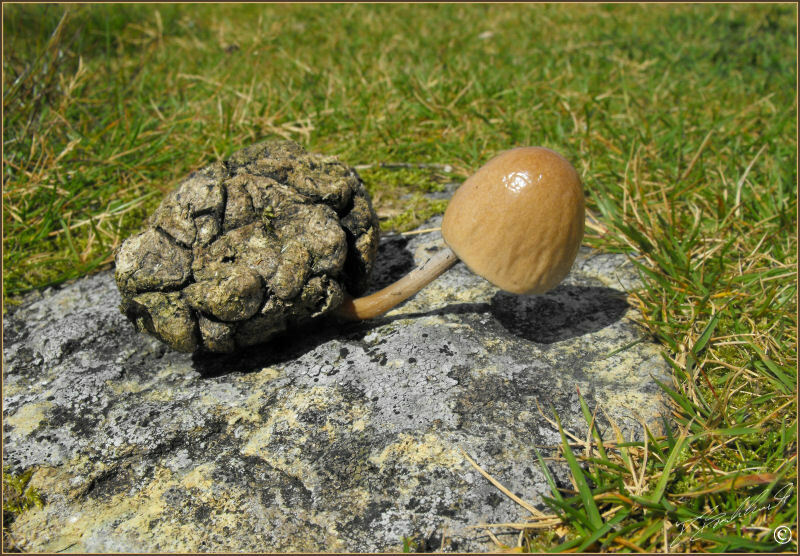 A medium size mushroom found on the edge of the moors - photo taken on Hebden Moor, North Yorkshire. 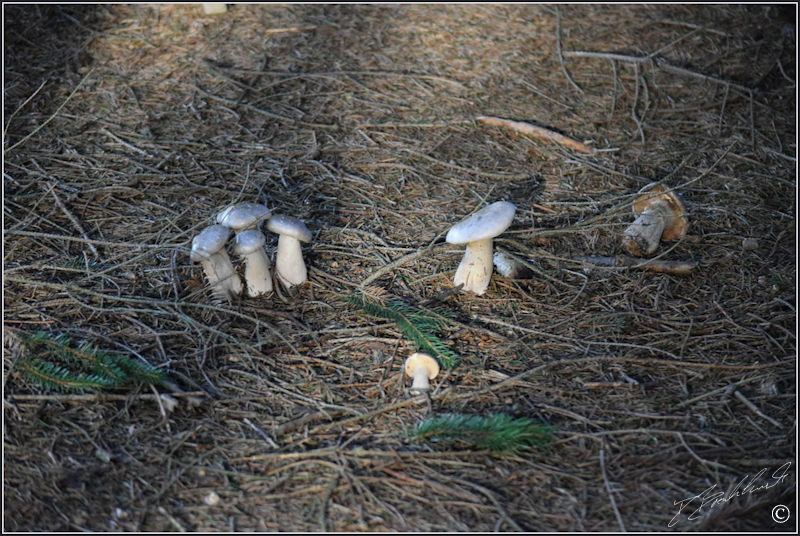 The above two photos of the same species growing in amongst the pine needles - photo taken in woods next to Thruscross reservoir, Harrogate, North Yorkshire.